@Dr TalleyWacker, have you tried gluing everything where it's supposed to be? @Dr TalleyWacker, i can confirm this happens to me as well. Then she claims i am not organized. Im like, yes i am. I know where all my stuff is and where i leave it. Then i go into a spiel about organization being subjective and think i am getting me point across. Then she says its not organized or else it would be neatly put somewhere. Then i tell her, wait a minute, organization and storage can be mutually exclusive. Then i end up sleeping on the couch with all my organized things next to me. @Dr TalleyWacker, Have you gone through the stage of not even knowing if you still have the thing you’re looking for, because she might have decided that you don’t need it/she doesn’t like it and gotten rid of it? 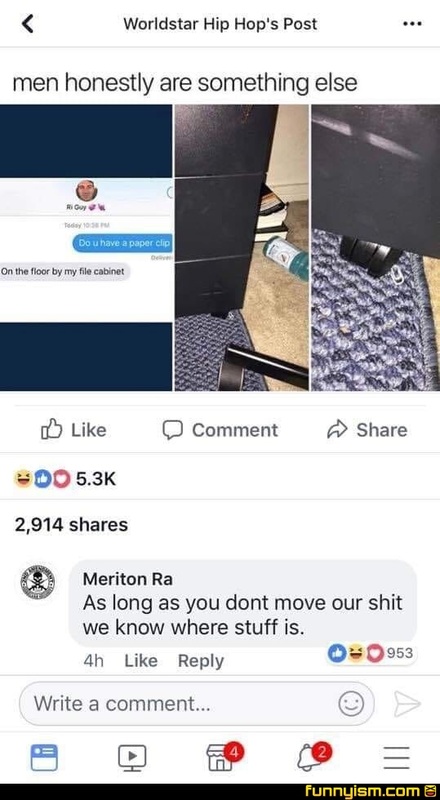 I always enjoyed having this debate with my mom, I had a lot stuff crammed in my room before I moved out but I know where everything is kept. Every time she tried to say I have lost something I find it in a heart beat.